As you head off on your latest adventure, think comfort. It's summer after all - a season worth celebrating at destinations near and far. As you head off on your latest adventure, think comfort. It's those little things that help make travel seamless - perhaps the latest savvy gadget, something whimsical and a touch of home added into the mix. It's summer after all - a season worth celebrating at destinations near and far. Pucker up! Your lips will feel wonderfully smooth, even during long-haul flights with dry cabin air, thanks to Burberry Kisses. These lipsticks are chock full of moisturizers and pampering ingredients like lavender, rosehip and tea that promise hydration for up to six hours. They give lips a luminous glow, not too shiny or matte. $36, Go to burberry.com to find the nearest retailer. Whether you're catching up on the latest bestseller on the beach or on a train ride through Europe, you'll appreciate the newest Kobo Glo HD eReader. It promises superior clarity and crispness for easy reading, courtesy of its high-definition technology. And it won't weigh down your luggage, weighing in at just 180 grams. 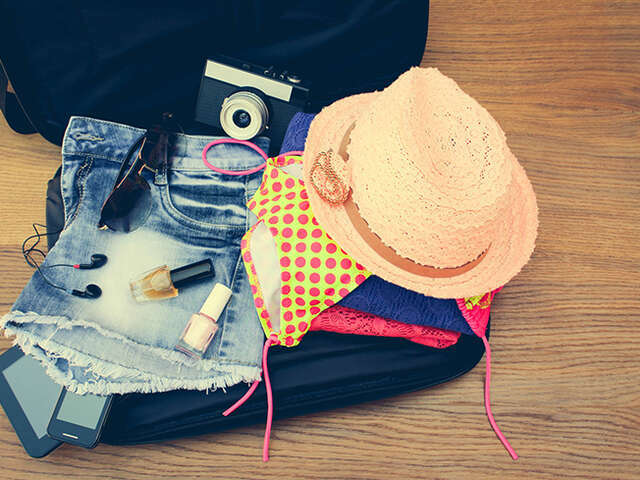 Planes, trains, automobiles, air conditioning, pollution and humidity can wreak havoc on a traveller's skin. Restore its natural glow in just 10 minutes with Pai Copaiba Deep Cleansa AHA Mask - faster than a spa facial! Pai, an all-organic skincare line that's become a cult favourite in the UK, is now available in Canada. Natalie Portman and Milas Kunis are big fans, too. $60 US Paiskincare.com.